If the snow is deep enough, it’s possible to get stuck in your own driveway. If you can, shovel a path to the road. Do it before you move your car. Driving on snow will pack it down, leaving trails that will be tough to shovel up, and that can turn into ice if the temperature falls. At the very least, clear away any deep drifts around the tires, and any “snow wall” left by the snow-plow at the driveway’s end. Brush the snow off everything. Powdery snow left on the body will blow down and obscure your vision; wet snow is heavy, and you’re using extra fuel to move it around. Snow and ice falling off your vehicle can affect drivers behind you, too. A good brush will clean off snow without damaging your vehicle’s paint. Start at the top by brushing off the roof, then the windows, then the hood and trunk, and finally, clean off the front and rear lights. Far too many bad drivers think it’s enough to just clean that small section of the windshield in front of the steering wheel. Don’t be one of them. 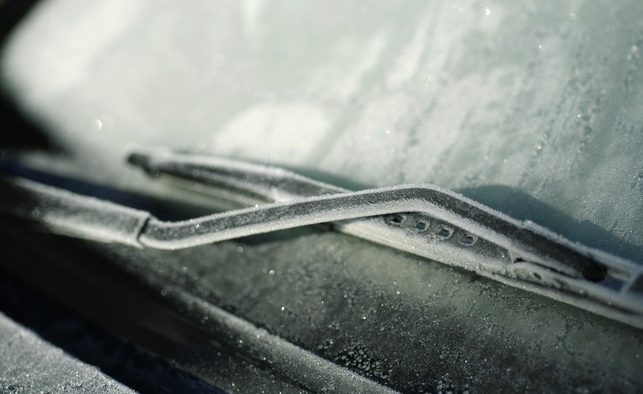 You need all your glass to be clean and clear, and your car to be swept free of snow, in order to be a safer driver. In most jurisdictions, it’s actually illegal to drive with your windows obscured by snow.